Hands up everyone that struggles to think up new and fun layout designs? Yep, my hand is raised too! That's why we have people like the very talented Becky Fleck (PageMaps) to do all the hard work for us and this fun sketch is no exception. 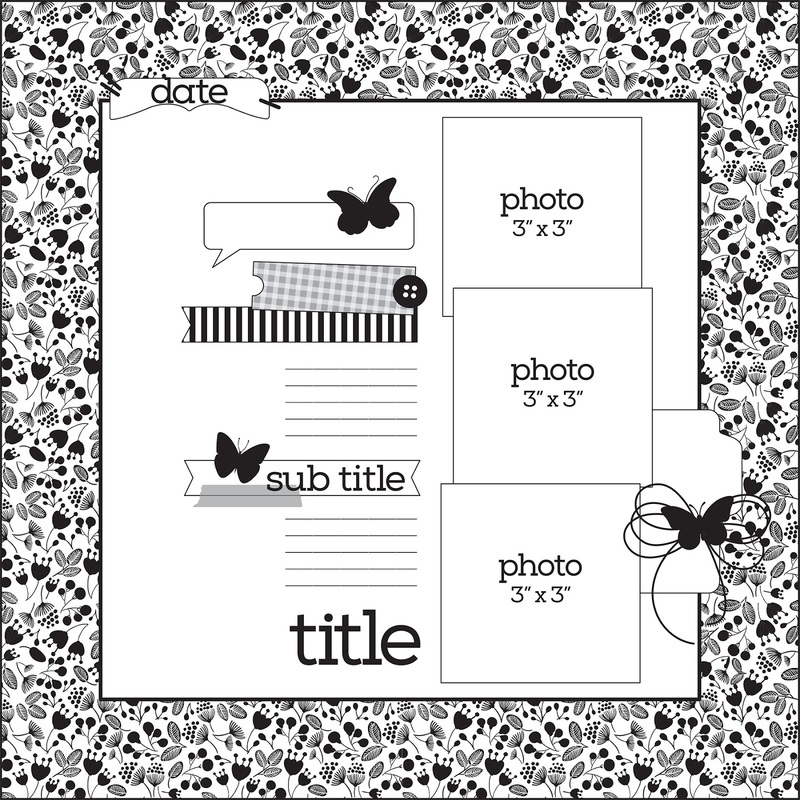 Perfectly balanced, room for multiple photos and journaling, fun elements and the all important date which is something I tend to forget unless reminded. When a sketch is this good you really don't need to play around with it too much so I've kept my layout as close to the original design as possible. That's what a sketch is for isn't it?... taking away the stress of thinking up your own design! My little man has had these swimmers since he was a baby and although they have stretched a little, they are still his favourites. 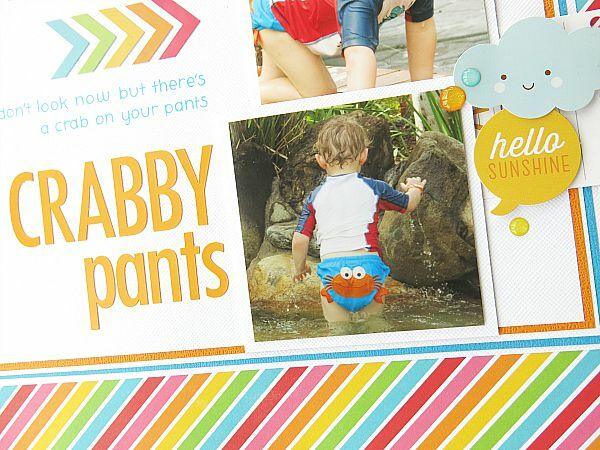 He calls them his 'crabby pants' so the title to my layout was chosen well before I sat down to scrap. I decided to add lots of layers to give a hint of dimension to the overall design... and I can't resist little clouds with smily faces. Wouldn't it be nice to have lovely handwriting? I cheat and use the sweet little Doodlebug mini rub-ons. They are the perfect size and come in all the colours of the rainbow. And as for the new glitter sprinkles, they work perfectly as droplets of water because they are slightly transparent and add a touch of sparkle. And finally... the all important date! Becky's sketches focus on all the necessary elements that go into creating a perfect page of memories. Next time you have a brain-fade moment and struggle with the design of your layout, head over to PageMaps and browse through the amazing sketches Becky Fleck has put together for anyone and everyone to use. I love this Melinda!! So cute!! Fantastic sketch and I absolutely adore Melinda's take on it!! Super sweet page! 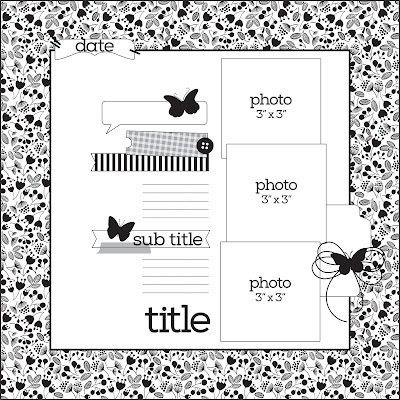 Awesome layout with such a fun feel to it!! 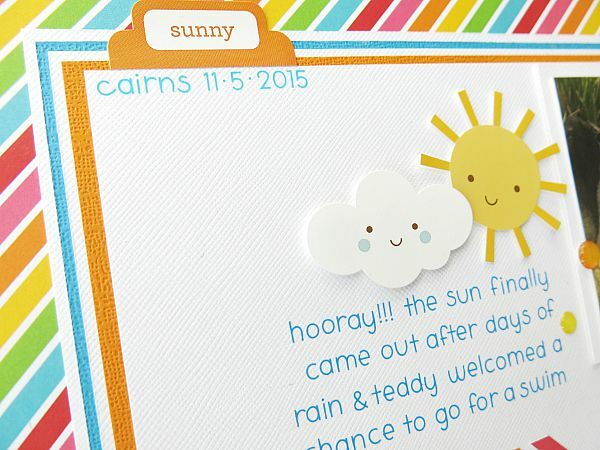 I love seeing the happy, bright Doodlebug products in use!! 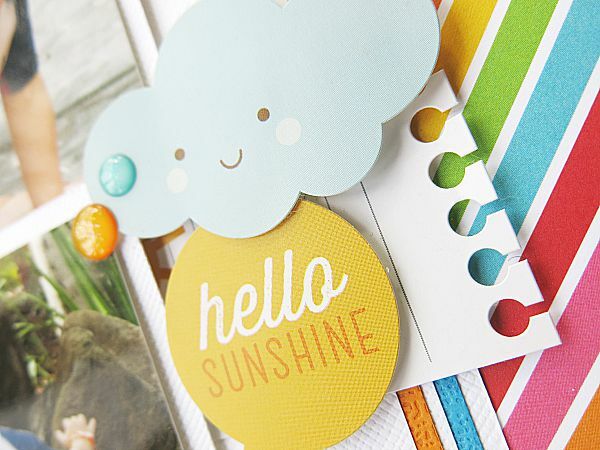 Such an adorable page, Melinda! Love it! !